The Canary Islands are well known for their beautiful balance of volcanic landscapes, natural seawater swimming-pools, black sand beaches, and year-round sunshine. La Palma, one of the smallest of the islands, gets this combination spot on.La Palma is known as both the greenest of the Canary Islands and the steepest. It’s more relaxed than the other islands, making it the perfect place for outdoor enthusiasts looking for incredible landscapes and a slower pace of life. 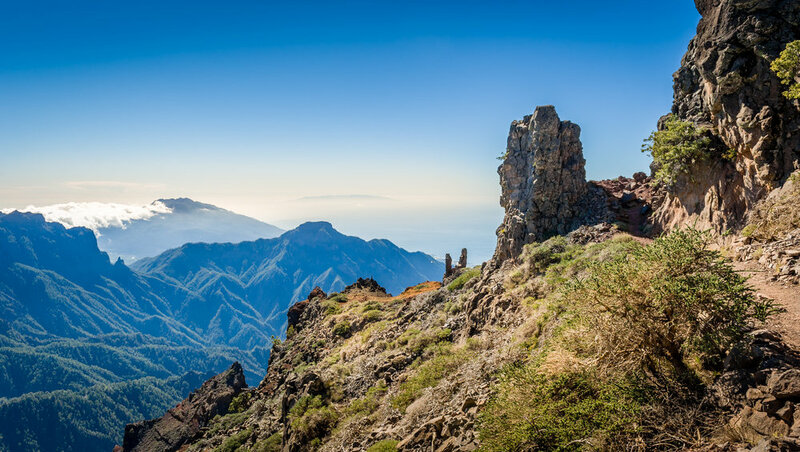 Here are six reasons why everyone should visit La Palma as part of a Canary Island adventure. Which Italian city should you visit next? Italy is one of Europe’s most diverse destinations. Fancy a quick city break? Check. Want to devour delicious food? Yes. Sip incredible wines? Of course. See world-famous buildings? There’s plenty of that. Or soak up some sun? There’s no shortage of sunny days in Italy.Saying that though, Italy offers a diverse holiday experience because it boasts a number of beautiful holiday spots. There’s the capital Rome, home to the Vatican and the Colosseum. Then you have Venice in the northeast with its iconic gondolas and in the south you’ll find Naples and the beautiful Sorrento. It’s not always an easy choice deciding which one to visit (though we recommend visiting them all at some point). 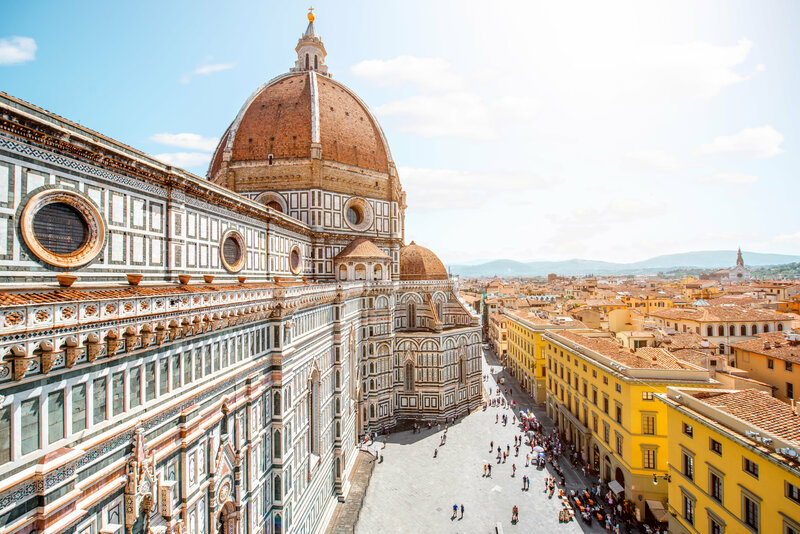 To make your choice a little simpler we’ve compiled this quick guide to help you decide which Italian city is right for your next trip. Italy is one of Europe’s most diverse destinations. Fancy a quick city break? Check. Want to devour delicious food? Yes. Sip incredible wines? Of course. See world-famous buildings? There’s plenty of that. Or soak up some sun? There’s no shortage of sunny days in Italy. Saying that though, Italy offers a diverse holiday experience because it boasts a number of beautiful holiday spots. There’s the capital Rome, home to the Vatican and the Colosseum. Then you have Venice in the northeast with its iconic gondolas and in the south you’ll find Naples and the beautiful Sorrento. It’s not always an easy choice deciding which one to visit (though we recommend visiting them all at some point). To make your choice a little simpler we’ve compiled this quick guide to help you decide which Italian city is right for your next trip. 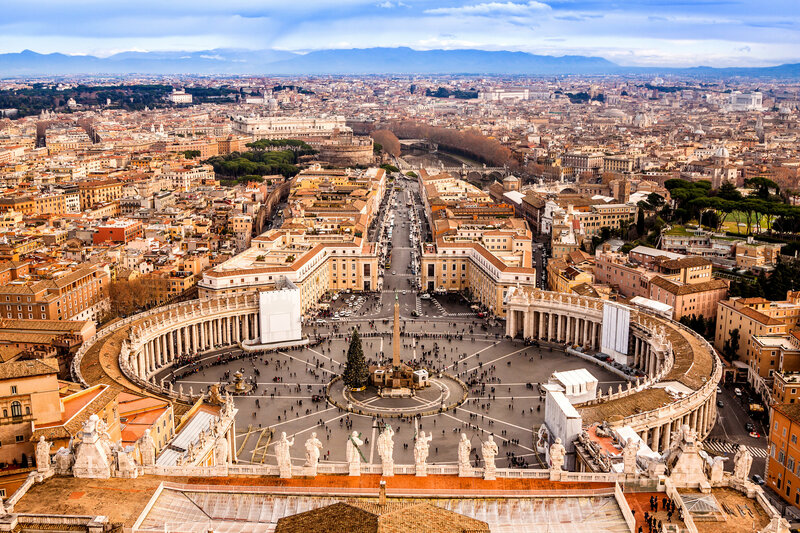 Rome is bursting with all the quintessential elements of any Italian city: ancient history, delicious food, fine wines, and fascinating museums. But what differentiates the capital from the others is the multiple world-famous sites (Vatican, Colosseum, Roman Forum, and Pantheon) and its bustling cosmopolitan atmosphere. Rome is perfect for fast-paced travellers who love to explore during the day, then drink stylish cocktails at night. Venice is just lovely. Its picturesque side-streets and scenic canals make the perfect backdrop to a romantic city break. And in the evening you can treat your sweetheart to a gondola ride, an orchestral symphony, or a canal-side dinner by candle-light. 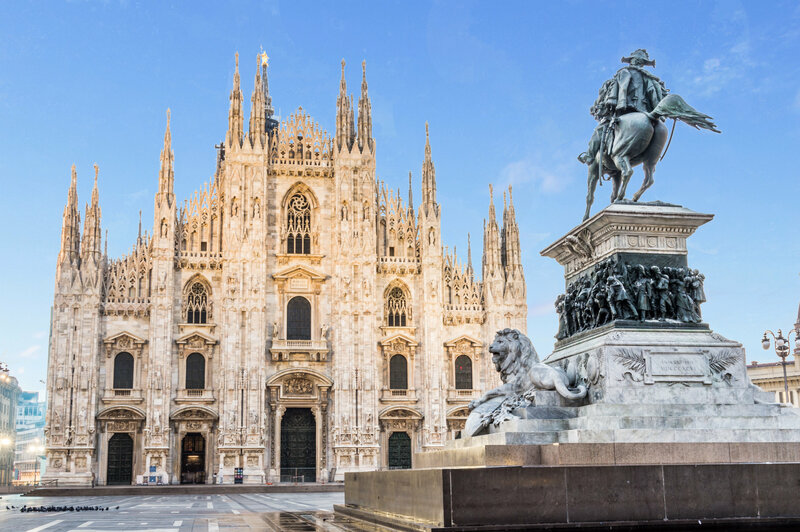 Milan is Italy’s fashion and design capital. Every year fashionistas flock here to experience the city’s incredible shopping, whether is the high-end Italian designers, high street favourites, or the independent boutiques. We’ve compiled a shopping guide to Milan if you don’t know where to start. You’ll find extraordinary art and architecture around every corner when exploring the city of Florence. 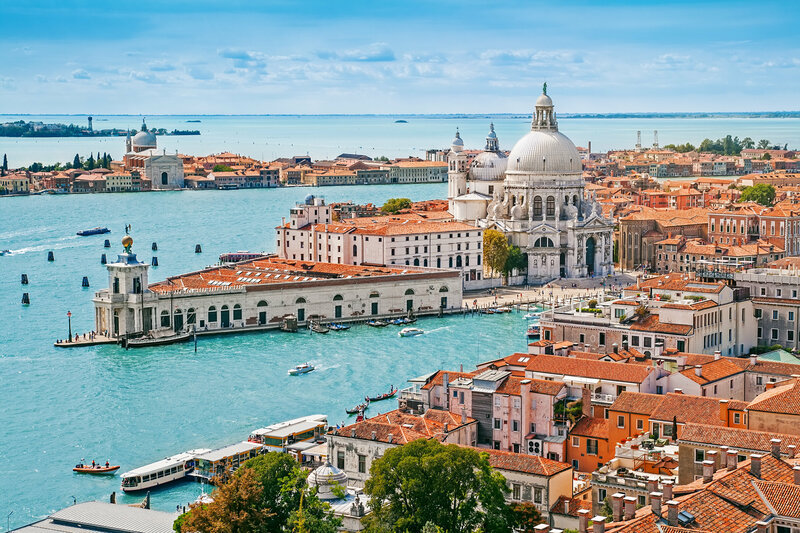 The entire city is a UNESCO World Heritage site and hasn’t changed much since the Renaissance: offering narrow cobbled streets, 15th- and 16th-century palaces, candle-lit chapels, and world-class art galleries housing works by Botticelli and Michelangelo. As an extra bonus, you are only an hour’s train journey from the world-famous Leaning Tower of Pisa and the city of Lucca. 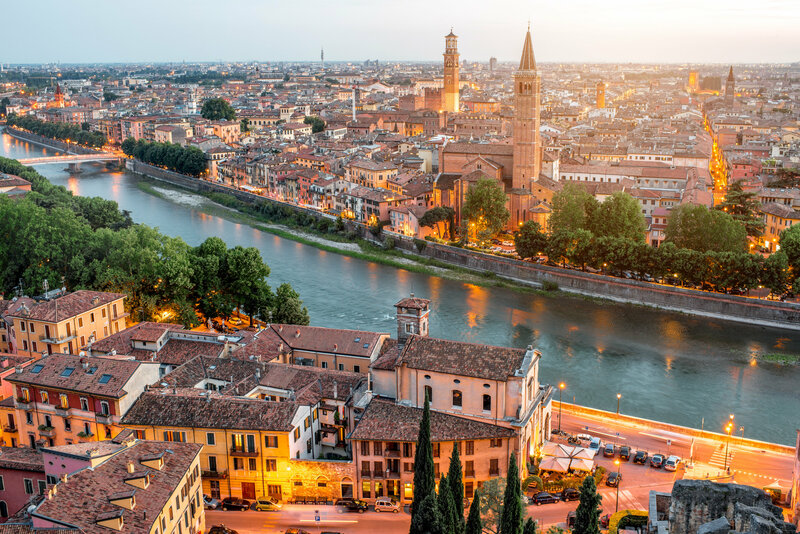 Verona’s claim to fame is its association with Shakespeare’s world-famous Romeo and Juliet. While the play by Shakespeare is technically fictional, the Montagues and Capulets families are very much real. Around Verona you’ll spot Shakespeare fans hunting out the real-world house of Juliet (which is now a museum, and her bedroom is furnished with the bed used in Franco Zeffirelli’s film Romeo e Giulietta), Romeo’s house (which is not open to the public), and Juliet’s tomb. You can also twin a stay in Verona with a stay in Lake Garda, with multiple trains a day taking roughly 30 minutes. Sorrento is technically a town, but it’s the most popular holiday spot on the Neapolitan Riviera. Built into scenic cliffs, Sorrento is the natural holiday of choice for keen walkers and hikers. But it is also a prime location for exploring the Bay of Naples. To the north there are the remains of Pompeii and Herculaneum, or you can climb up to the crater of Mount Vesuvius – the volcano that caused the disruption. 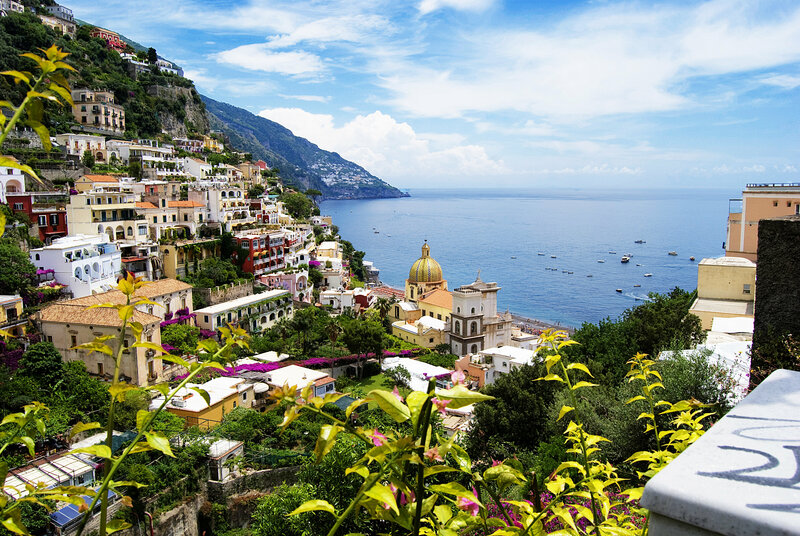 To the east is the spectacular Amalfi Coast, with its cliff-hugging coastal road. You can also head across the bay to the fashionable islands of Capri and Ischia. When you’re not exploring the nearby sites, relax with some food and drink – such as the famous limoncello liqueur and locally grown olives, tomatoes, peaches, cherries, and oranges. 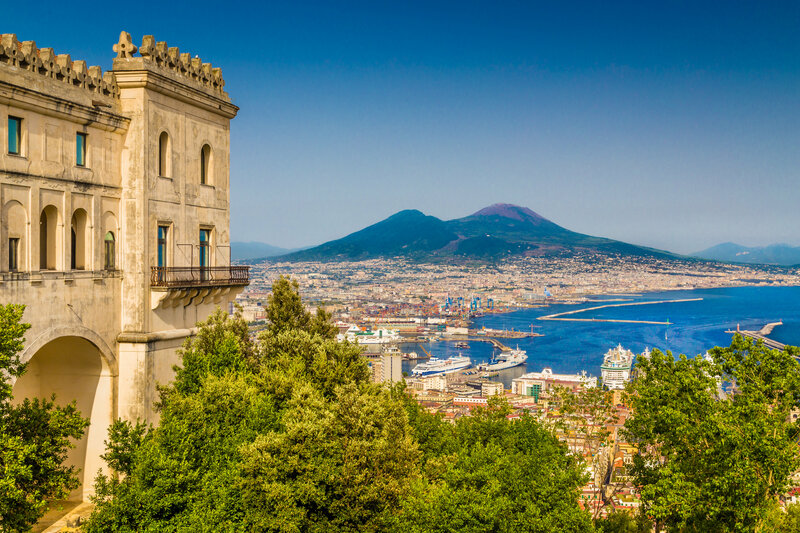 If you want to visit the Bay of Naples but really crave a city atmosphere, then we recommend Naples itself. It offers the same easy access to many of the same sights (like Pompeii and Herculaneum) while providing more of a buzz – but Naples’s main bragging right is its foodie heritage. Neapolitan cuisine is slightly different to the rest of Italy and dates back centuries to the point where it’s hard for historians to establish the exact timeline of when it originated. Pizza is the most famous dish to originate from this city (so adored that the Italian flag was styled after tomatoes, mozzarella, and basil) though you’ll find plenty of ragù, aglio e uoglio (garlic and oil), and seafood here (octopus is especially popular). Valentine’s Day is two weeks away and it’s time to finalise your romantic plans. Thankfully, Europe is brimming with beautiful cities that are perfect for loved-up couples! So even if you’re not wanting to travel very far – and don’t want to spend too much money – you’ll find somewhere that’s perfect for you and your partner to fall in love all over again. 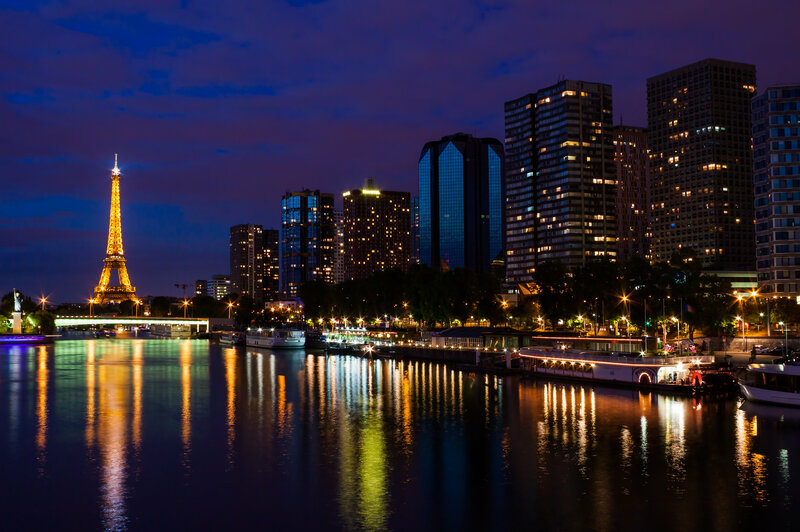 Paris is considered one of the most romantic cities in the world for many reasons. Whether it’s dinner at the top of the Eiffel Tower, a coffee date on a cobbled street, a night at the Moulin rouge, or an evening stroll along the Seine. Prague boasts elegant palaces, 17th and 18th Century architecture, scenic cobbled lanes, and incredible city-wide views from both Prague Castle and Letna Park. It’s not called the City of Spires for nothing. One look at a photo of beautiful Budapest and you know it’s a city perfect for loved-up sweethearts. The Danube runs through the heart of the city with glitter lights illuminating its bridges and grandiose palaces lining its banks. It’s the perfect place for an evening stroll (or even a proposal). The first of two Italian cities on our list is the world-famous Rome. Sample delicious food, sip on the some of Europe’s most renowned wines, and explore beautiful streets. It’s the perfect place to fall in love. Lisbon is becoming increasingly popular for all kinds of globetrotters, including couples. And when you look at the beautiful architecture and taste the fresh seafood, it’s not hard to understand why. If you’re looking for something a little bit closer to home for your Valentine’s Day escape, then it has to be London. Book your sweetheart tickets to their favourite show in Covent Garden, treat them to a luxury dinner in Mayfair, or watch the sunset from the top of the London Eye. If your sweetheart adores impressive culture combined with luxurious surroundings – then Vienna is the perfect destination! Visit world-class art museums, catch a show at the Opera house, and share pastries while sipping artisan coffees. Perfect! Where better for a romantic city break than the home of fairytales, Copenhagen? Admire the Little Mermaid statue and the Dragon Fountain, then wander down cobbled streets lined with pretty painted townhouses. Finally, snuggle up in the evenings in traditional Danish Hygge style. Italy is a romantic country as a whole and we couldn’t possibly only include Rome (narrowing it down to two was hard enough!). So we’ve also included Venice, a city filled with mouth-watering food, beautiful side-streets and – of course – the iconic gondolas. What could more romantic than snuggling up under the glittering Aurora Borealis? Book yourself a city break to Iceland’s magical capital and sign up for one of their many Northern Lights viewing tours that take you out with the city. Tenerife is one of the most popular destinations in the world for British holidaymakers. If you’ve visited this incredible island you’ll know exactly why its popularity never decreases. But if you haven’t holidayed there, you might potentially still be wondering what sets it apart from the other popular sun-drenched holiday favourites. We’ve got you covered. Here are 10 reasons why Tenerife should be on everyone’s bucket list! While there is more to Tenerife than gorgeous beaches, this is still an incredible part of what makes Tenerife such a popular holiday destination. Even if you visit for a two week holiday, you could still visit a different beach every day. Several of them also boast Blue Flag status for their cleanliness. The interior landscape of Tenerife is just as spectacular as the coastline. The Teide National Park is home to the third highest volcano in the world, and boasts a number of incredible hiking and walking trails. More than 20 species of cetaceans can be spotted off the south-west coast on Tenerife, including baleen whales, killer whales, dolphins, pilot whales and even blue whales. Tenerife’s most out-there waterpark has to be Siam Park: all Thai-inspired 46 acres of it. Swim in the “largest man-made wave in the world” at about 3.3 metres high, or catch your breath while floating along the Lazy River. Aqualand Tenerife is also a popular option. It’s home to waterslides of all shapes and styles, as well shallow pools suitable for young children. Tenerife’s largest cultural event has to be the Carnival, held in the week running up to Lent. The celebrations start with the Grand Opening Parade, where colourful floats and costumed performers makes their way through the streets. The Carnival then ends with the (unique) Burial of the Sardine ritual on Ash Wednesday, where a sardine sits on a throne, and is carried through the streets of the capital, before it is set on fire. The stars shine brightly in Tenerife, thanks to the island’s close proximity to the equator and low-levels of light pollution. In fact, Teide National Park has been recognised by the Starlight Foundation as one of the premier stargazing sites on the planet. 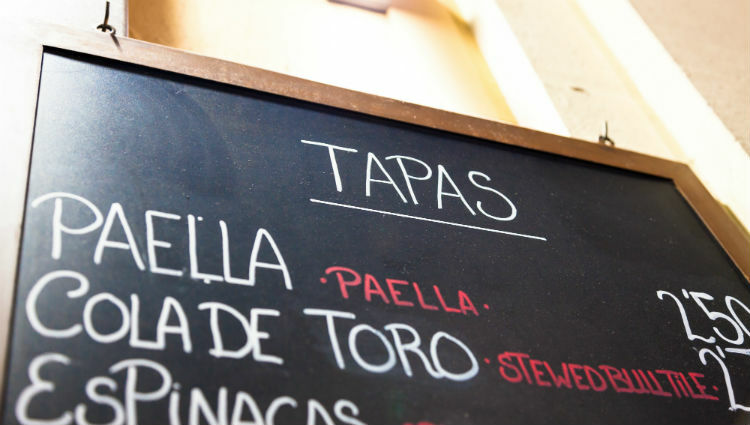 Tenerife’s culinary scene is an exotic mix of Spanish, Andalusian, African and South American influences. A popular dish on the island is papas arrugadas (wrinkled potatoes), a boiled potato dish with a spicy green pepper sauce. The island is also home to no fewer than six Michelin stars across five restaurants. The volcanic landscape and warm waters of Tenerife aren’t relaxing to look at – spas use the natural resources to literally relax visitors. Natural treatments include thalassotherapy, geotherapy, wine therapy and aloe therapy – the latter using Canarian aloe vera. Tenerife’s temperature stays above 20°C in the winter. Plus, there are only about six rainy days a month – so you’re guaranteed good weather no matter when you visit. Whether you’re looking for a B&B, luxury hotel, or a family-friendly resort – you’ll find it in Tenerife. The island offers a wide range of accommodation options that will make your stay extraordinary, no matter your budget. If you’ve been to Tenerife, share with us your favourite thing about the island in the comments! Autumn has officially hit the UK and the cooler nights are setting in. So you’d be forgiven if you find yourself browsing holiday destinations looking for winter sun. If you are looking for a quick holiday to break up the darker nights, we thoroughly recommend the island of Lanzarote. It’s fantastic all year round, but there are a few things that make the winter season extra special. The most obvious reason to visit Lanzarote in the winter months is the weather. Daytime temperatures in winter vary from 19 to 26 degrees, falling only to 16 to 19 at night. Even the surrounding ocean doesn’t dip below 19 degrees. There’s also a chance that you’ll get a better tan during the winter too, as the UV factor isn’t as fierce so you can stay out in it longer. Lanzarote is an outdoor enthusiasts dream, and many energetic visitors prefer the later months of the year when the air is a bit cooler. Hillwalking and hiking are especially popular in the winter. Lanzarote loves watersports, and they are available all year round. Windsurfing, kayaking, and paddle boarding are especially popular. Lanzarote is famous for its breath-taking lunar-esque landscapes. But something changes about them in winter, aka the start of the island’s growing season. The hills tend to blossom with the most amazing wild flowers, and you’ll see blossoms and fruit all over the hills. More than 26 species of whales and dolphin reside in the warm waters of Lanzarote – many of them permanent residents. February is Carnival time in Lanzarote. It is a huge affair with outlandish costumes, music, dancing in the streets, drag queen competitions, a Carnival queen contest and performances. A new theme is selected every year, but there’s always a float and the Burial of the Sardine Parade – where locals pretend they are actually at the ‘funeral’ of a sardine, where it gets cremated in a huge bonfire, marking the end of the Carnival celebrations. The island’s biggest food festival, Tasting Lanzarote Enogastronomic Festival, is held every November in La Villa de Teguise with many visitors booking their holiday to coincide with the dates. Lanzarote boasts a delectable local foodie scene – including fresh Atlantic seafood, award-winning cheese, and volcanic wines – so it’s well worth visiting when the locals bring it all together. Christmas works a little differently in Lanzarote. On the 5th of January, Lanzarote has a camel procession that includes the Three Wise Men (who bring the children their gifts) who will go through the towns handing out sweets to children. You’ll also find a variety of cakes available, some with a king hidden inside and some with a bean. If you get the king you get the cake for free (but pay if you find a bean). Have you ever visited Lanzarote in the winter? What was your favourite thing about the island in the later months? Paris is a delightful city full of stylish boutiques, striking architecture, and cobbled streets lined by coffee shops. It’s also expansive and, without proper planning, it can be easy to miss some key monuments, attractions and sights. One of the simplest ways to explore Paris is by using the Hop on-Hop off bus, where you’ll be provided with headphones with an audio commentary. The tickets are usually valid for 48 hours so you’ll have time to explore the city at your own pace. There’s also a well-maintained Metro system, which we’ve written a How to Guide on before . As we’ve said: it’s a big city with a lot of offer. In order to make the most of it you need to decide for yourself what sights you want to see the most. But if you need some inspiration, we’ve rounded up this two-day itinerary. You can’t visit Paris and not stop by the world’s largest museum. A slight inconvenience, however, is that this is the opinion of everyone else who visits Paris. So you need to make it your first stop before the crowds build up. For extra speediness, book your tickets in advance and avoid entering through the famous glass pyramid and instead opt for one of the side doors. We also recommend researching which pieces you would like to see in advance, instead of getting lost within the eight miles of corridors. 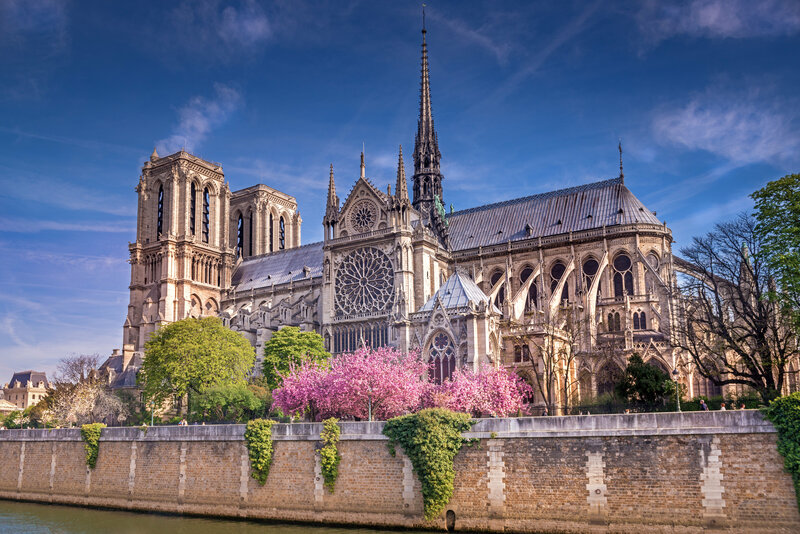 You’ll find the famous Notre Dame Cathedral just 20 minutes away from the Louvre. This 853-year-old church is considered the country’s finest example of French Gothic architecture. The Cathedral is open every day of the year from 7:45am to 6:45pm, entry is free and tours are available. 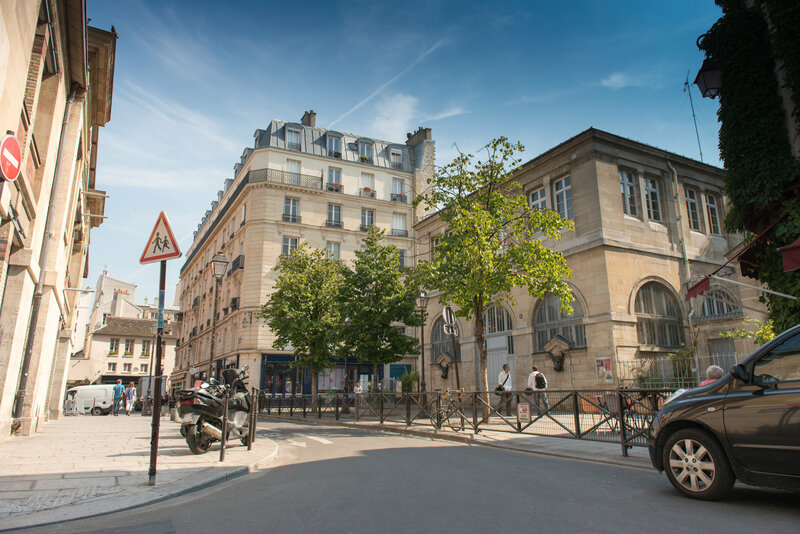 La Merais is one of the oldest areas of Paris and remains one of the most striking. It’s the sort of place you spend a few hours strolling, but its Jewish Quarter is home to some of the best food in the city. We recommend the world famous Falafel Special Sandwich from L’as du Falafel. After all that exploring, you’ll need to let your hair down in the evening. Canal St. Martin is one of the best places to do so thanks to its selection of bars, restaurants and street performers. You can choose to pack it in early with a meal and a few drinks or stay out dancing until the early hours. The walk up towards Montmarte is tough but well worth it. At the top, you’ll find a charming collection of cobbled streets that will make you feel as though you are in a sleepy French village, rather than a bustling capital city. The view from here is also second-to-none and is at its best in the morning. 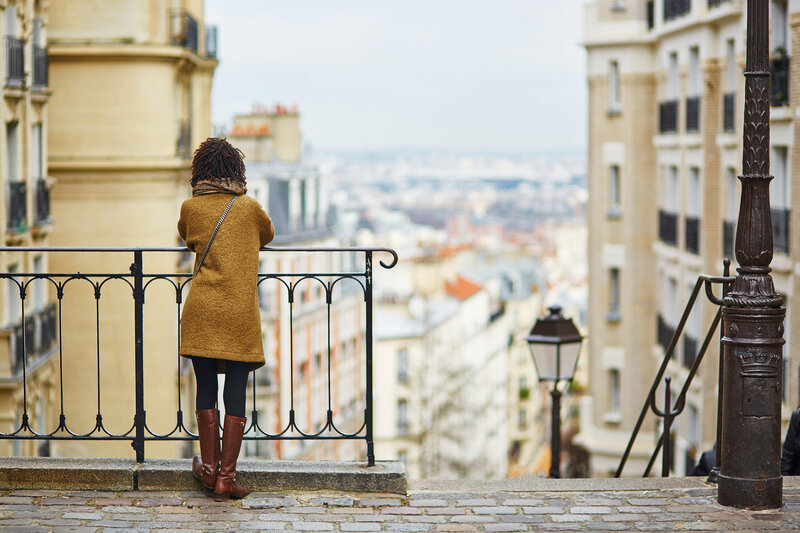 Once you’ve watched the sunrise over the Paris skyline, take your time to explore the streets of Montmarte before you head back down into the city. They are buzzing with artists (perfect place to get a quick caricature), street art, and quaint cafés. Paris is known as a fashion capital, so spending some time engaging in retail therapy is a must. 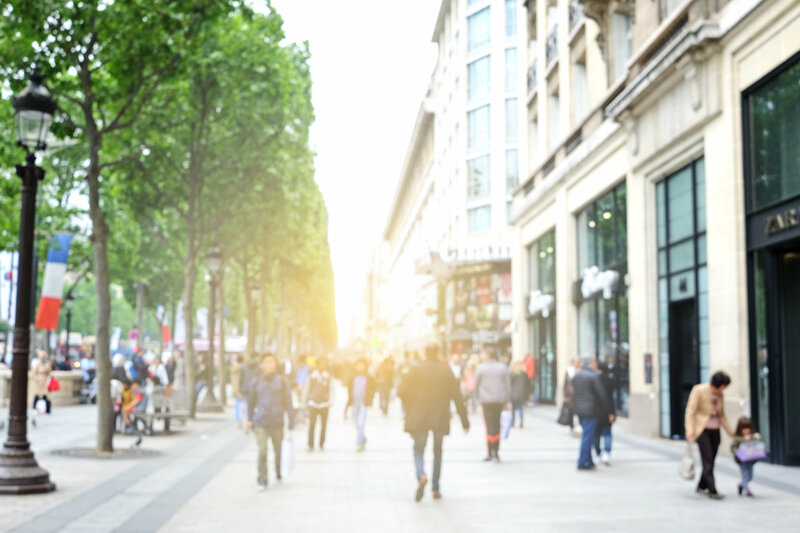 Walk down the ever-glamorous Avenue Montaigne, the streets of Saint Germain and the Champs Elysées for a great Parisian shopping experience. If you like your shops local and independent, we recommend heading to Rue de Charonne. Over the last few years, a wonderful shopping village of fashion boutiques has gradually emerged here. The quirky boutiques include wares for girls, boys and little ones! For lunch, we recommend eating at Le Souk: a North African restaurant that will make you feel like you’ve been transported to a Moroccan market. Did you think we weren’t going to include the iconic Eiffel Tower in our itinerary? Crowds can build up quickly, which is why so many travel guides recommend getting there first thing. And while you can totally do that if you want, we still think it’s worth waiting until Paris’s most famous building is lit up at night. We reckon that it’s the perfect way to end your 48 hours in Paris. London is a city that has survived mad monarchs, unidentified serial killers, plagues, and a colossal fire – so it’s no surprise that a number of vengeful spirits haunt its streets. Whether it is eerie mansions, spooky cemeteries or creepy museums hosted in historical buildings, ghost hunters will find plenty of macabre sites to test their fear levels. Here are just 10 of the best. Not only is the Tower of London a prominent structure in London, it is also the home of several royal ghosts. Henry VIII had two of his wives executed there. While the young princes Edward V and Richard of York, Arabella Stuart and the famed White Lady are all believed to have met their end there (with their souls trapped forevermore). Catherine Howard – one of the wives Henry VIII executed at the Tower of London – is also said to haunt Hampton Court Palace. It is here that Henry put her under house arrest but she escaped from her guards and ran down the gallery, only to be dragged back to her room screaming. Many visitors have reportedly heard her screams. While theatres appear to be a natural habitat for ghosts (there’s barely a theatre in Britain that doesn’t claim to have a resident spook) the Theatre Royal on Drury Lane has claimed more than its fair share. The theatre we know now was built in 1812, but it’s actually the fourth building to have been constructed on the site with underground foundations dating back to the 18th Century. It’s most famous resident is The Man in Grey. Legend says that the Man in Grey is the ghost of a knife-stabbed man whose skeletal remains were found within a walled-up side passage in 1848. He is also said to be dressed as a nobleman of the late 18th century: powdered hair beneath a tricorne hat, a dress jacket and cloak or cape, riding boots and a sword. He’s most commonly found haunting the upper circle of the audience seats. When you’re done exploring London’s most haunted sites, it’s time for some live historical re-enactments. This Halloween the London Dungeon are switching up their legendary Jack the Ripper experience and exploring the theory that the infamous East End Killer was, in fact, a woman! Admission to The London Dungeon is included in Merlin’s Magical London Ticket, which includes entry to Madame Tussauds London, Coca-Cola London Eye, SEA Life London Aquarium, and Dreamwork’s Tours Shrek’s Adventure! Price is £55 per adult & £40 per child (3-15yrs). You can order it through us when you book your London break. Operating theatres are creepy at the best of times. Let alone an operating theatre that was in use before surgical anaesthetic was invented in 1846. It probably comes as little surprise that many of the patients died and are said to haunt the building. You’ll find this operating room on the top floor of St Thomas Church, not far from London Bridge Underground Station. If hospital history really fascinates you, here’s another gruesome step back in time for you. Barts is the oldest hospital in Britain (dating back to 1123), and its left wing has been turned into a museum with displays of old surgical equipment, marble heads and dusty documents (including one signed by Henry VIII). You’ll it not far from the museum of London. This expansive graveyard opened in 1839 and eventually became the final resting spot of 170,000 people, including Karl Marx, Charles Dickens and Douglas Adams. There’s been a few ghostly sightings over the years, including The Highgate Vampire who is said to be 7 foot tall, dark, have piercing eyes and wear a long black coat and top hat. While the Greenwich Tunnel doesn’t officially have any resident ghosts – it’s still a creepy place. Constructed between 1899 and 1902, it runs under the Thames River for 370 metres between Greenwich to the Isle of Dogs – and even the lightest footstep produces strong echoes. Not somewhere you’d want to walk by yourself. Legend says the courtyard’s name memorialises the murder of Lady Elizabeth Hatton, whose family owned the area around Hatton Garden. The story says, that her body was found here on 27 January 1926, “torn limb for limb, but her heart still pumping blood.” There’s also a nearby French restaurant called The Bleeding Heart. While the station itself might look modern, in 2015 a suspected plague pit was uncovered underneath. Also, back in the year 2000, a Line Controller who was watching CCTV footage noticed a man dressed in white overalls standing on the East-Bound Central Line platform – despite the fact that it was 2:00am and the station was closed! The Station Supervisor went to the platform to investigate and once there, found no trace of the man whatsoever. He had simply vanished into thin air, never to be seen again. Prague is a popular city for a weekend city break, and it’s not hard to understand why. It’s just under two hours from the UK, boasts an easy-to-navigate airport, and the city centre doesn’t sprawl too far. It also has plenty to see and do – whether you’re a history buff, beer-drinker, or foodie. When you pass through customs and have collected your luggage, hop on the AE airport shuttle. It runs every 30 minutes and – for quite a reasonable price – will take you right into the city centre. You can buy a ticket from the transportation stand once you arrive at the airport. Then you are free to enjoy your entire weekend in Prague – and we’ve even pulled together this quick itinerary for you. Potentially the most recognisable structure in Prague but, because of this, the crowds can build up quickly. So make sure you get there first thing, especially if you want to get some good pictures. Once the crowds start to arrive it’s time for you to fuel up for the rest of the day. 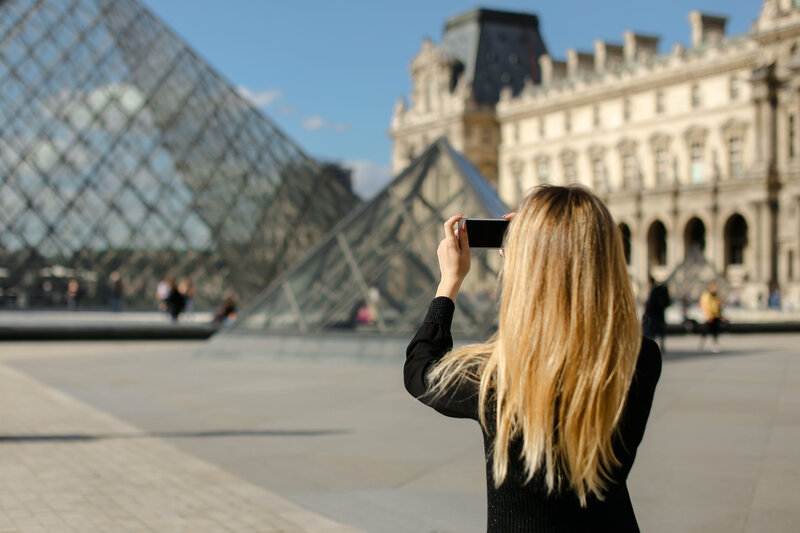 We recommend trying out the historical Café Louvre, which is 10 minutes away and usually opens its doors at 8am (which is quite early by Prague standards). Their breakfast menu is extensive with six pre-made breakfast plates (small, Czech, French, Hangover, Northern, and Fit), as well as a generous list of smaller plates (including pancakes and scrambled eggs). You can’t visit Prague and bypass the scenic Old Town. There is a long list of buildings and sites to keep an eye out for, including the Astronomical Clock, the Church of Our Lady before Týn, the Old Town Hall, the National Gallery and the Church of St. James the Greater. Make sure you also take the time to explore the side streets and tiny alleys. Only a stone’s throw away from the Old Town lies the Jewish Quarter – which is one of the best preserved Jewish quarters in Europe. The must-visit sites are the Old Jewish Cemetery, Pinkas Synagogue, and The Jewish Museum. The Old Town is filled to the brim with appetising restaurants that locals and visitors love – but if we were to choose one it would be Lokál. Here you can enjoy hearty, homemade Czech cuisine made in the slow, good old-fashioned way without artificial ingredients. The smoked meat on the menu is even prepared at their very own butcher shop! Relax at the end of your final night with a tipple at the Hemingway Bar. The drinks menu here is one of the most extensive in the city – with a specialty in absinthe, champagne, and rum. In fact, there are 200 rums behind the bar! Start your second day with breakfast at one of Prague’s oldest and most successful restaurants. Café Savoy is housed in a building that dates back to 1893 (remember to look up and admire the Neo-Renaissance ceiling). They have a generous breakfast menu, which includes continental, English, and French breakfasts; as well as 11 different ways to have your eggs. They also offer 5 small plates if a big breakfast isn’t your thing. When you’re fuelled up, you’re in a great location to explore Prague Castle. Not only is it breathtakingly beautiful, it is also the largest coherent castle complex in the world and dates back to the 9th Century. It’s currently the official residence of the President of the Czech Republic, and was once a seat of power for kings of Bohemia and the Holy Roman emperors. Your basic fare to enter the castle is 500 CZK and there are tours available at an additional cost. Sixteen minutes on foot (and back towards the Charles Bridge) you’ll find the colourful John Lennon Wall. After the 1980 assassination of John Lennon, an unknown artist drew a portrait of John Lennon on the wall, and quickly after followed other Lennon and Beatles-inspired graffiti. The wall has been painted over a few times, and the original John Lennon portrait is now lost under years of graffiti. Today, the wall represents a symbol of global ideals such as love and peace. Now it’s time to relax a little and enjoy incredible views of Prague from the beautiful Letná Park – where you’ll find some incredible hidden gems. At the base of the park, you’ll spot a very large ticking metronome which is where the world’s largest monument to Stalin once stood (it was blown up in 1962). To the right of the metronome is the Hanavsky Pavilion, where you’ll find cute little neo Baroque cast iron structure built for the Jubilee World Exhibition in 1891, where you can now stop for a cake and cappuccino. You can also dine at Belcredi, a fine dining establishment situated in an Italian style Palace, or relax with a beer at Letná Beer Garden. Prague might be a city drenched in history with beautiful cobblestone streets, but it also has a modern side too. We recommend you spend a late afternoon just exploring the New Town, and see where it takes you. Some key sites include Dancing House, Wenceslas Square, Ss. Cyril and Methodius Cathedral, and the National Museum of Prague. When you’re finished admiring the buildings of the New Town, it’s time to treat yourself to the local foodie scene. There are several delicious restaurants to choice from, but we recommend The Globe. It opened in 1993, and since then has become a Prague institution. The building it is hosted in dates back 115 years (don’t be fooled by the term “New Town” – it’s just newer than the Old Town) with red dramatic walls featuring original art that can be purchased, high windows, a gallery and a courtyard for al fresco dining. There’s also a bookstore at the front of the building (the restaurant was originally famous for being the first English bookstore in Prague), which includes international newspapers. End your weekend in Prague with a performance at The Prague National Theatre. On any given night you’ll find opera, drama or a ballet, and the venue is home to a number of bars and restaurants. Also, the building itself is beautiful and blends different architectural styles together, most notably Renaissance Revival architecture. Have you spent a weekend in Prague before? Let us know how spent it in the comments below.